I help promote information sharing and collaboration between NatSCA and closely allied subject specialist network the Geological Curators’ Group. These groups share core aims and, increasingly with loss of specialist curatorial posts, a membership. It’s exciting to explore how we can capitalise their individual strengths for the benefit of natural sciences collections and the people who work with them. I work with a small team (Biology Curator Rhian Rowson and Geology Curator Deborah Hutchinson) to curate over one million natural sciences specimens of all shapes and sizes. As many a curator will recognise, this varies from high level strategic work to lifting, shifting, labelling and cleaning – a medley of activities to enable diverse access to and preserve these astonishing collections. 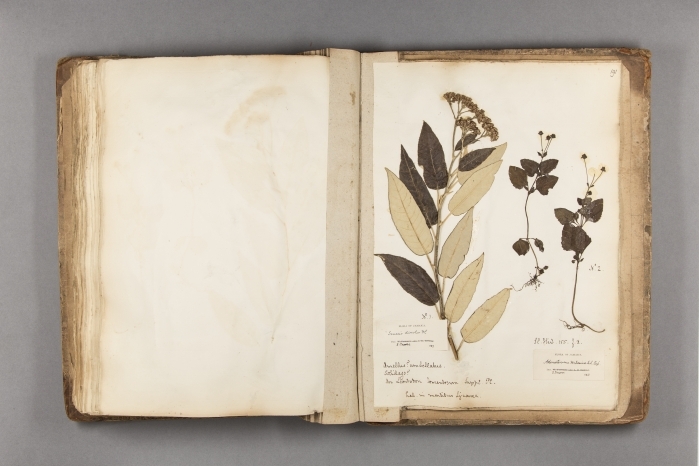 Medicinal plant on a page from Bristol’s earliest natural sciences collection – the Broughton herbarium, Bristol & Jamaica, 1779-90. (C) Bristol Culture. Are you working on any projects that you’re really excited by at the moment? Yes! I’m currently leading a regional project funded by the John Ellerman Foundation to support natural sciences curatorial skills in the South West. The number of specialist curators in our region has declined significantly in recent years. In 2015 the nine (now seven) remaining banded together to review and pool our skills, identify gaps, and support non-specialists in partnership with our regional museums development network. 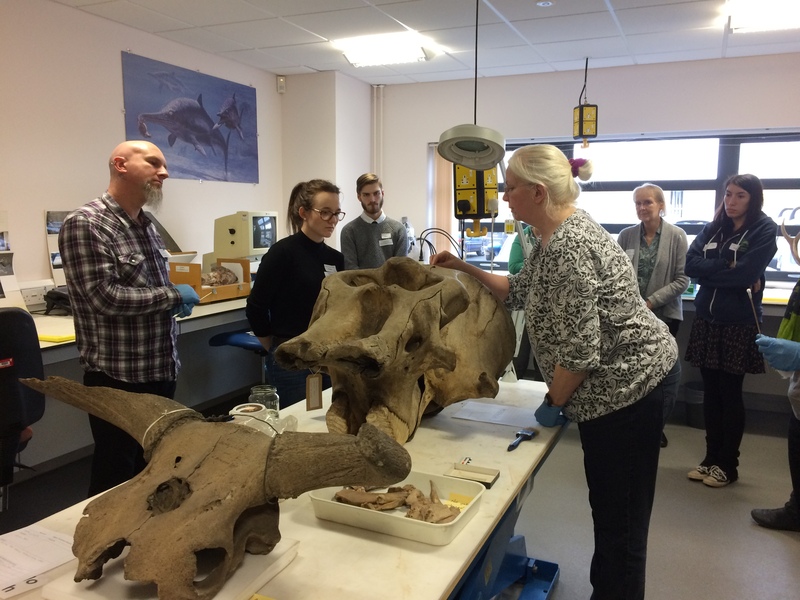 Sharing skills with non-specialists responsible for natural sciences collections – South West Museums Development Conservation Officer Helena Jaeschke relates the do’s and don’ts of specimen cleaning, at Somerset Archives. (C) Isla Gladstone. One exciting ‘gap’ we’re working on with the Natural History Museum London and iDigBio is supporting regional collections, large to tiny, to join the global digitisation effort. Specimen biodiversity data – the ‘what, where, when, who’ collected – can help answer big questions facing society today, such as biodiversity loss and climate change. Pool this data to large research aggregators like the National Biodiversity Network and Global Biodiversity Information Facility and it becomes a powerful tool. This field offers huge potential for regional collections to maintain local and global relevance and make a practical difference to people and the natural world, but is challenging to achieve with limited resources. Skills have not kept up to speed with rapid developments, and currently very little (well pretty much no) data is systematically exported. As the biggest collection in the South West we have a key role to play in working with partners to advocate regional needs and strengths, form a bridge to national / international expertise, and help make the most of this opportunity. We’ll be sharing our work with you, so please watch this space! 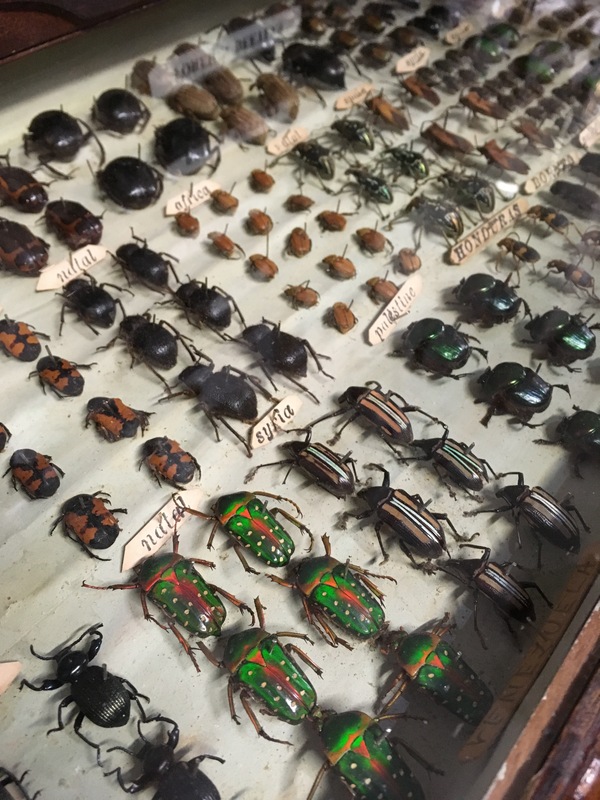 On the move: world beetles at Ilfracombe Museum – significant data is found in all sizes of collections. (C) Isla Gladstone. My little boy suffered a massive stroke before he was born, which has been difficult but also given me a privileged insight into the joys and challenges faced by young children with disabilities and their parents, and connected me to some amazing people – so maybe I’d retrain as a specialist children’s physio or occupational therapist. In fantasy world, I’d open a little cafe by the sea! Written by Isla Gladstone, Senior Curator (Natural Sciences), Bristol Museum & Art Gallery, Bristol Culture, and NatSCA Committee Member.